This thing gives a new meaning to the term surface rust! 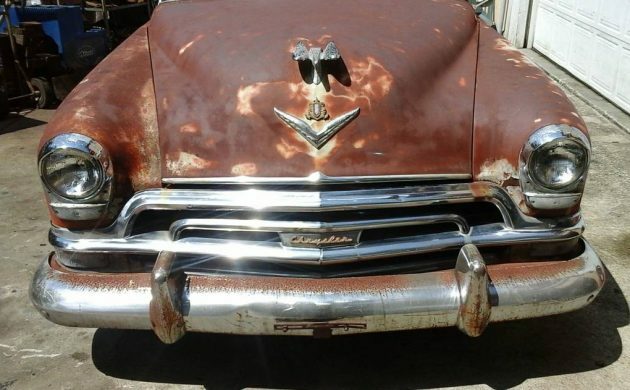 This 1954 Chrysler New Yorker is listed as a survivor that is mostly complete and runs great. Best of all it’s equipped with a 331 CI Hemi! This car has lots of potential to be a cool project especially considering the reasonable asking price of $2,800 OBO. Find it here on Craigslist in Wilmington, NC . 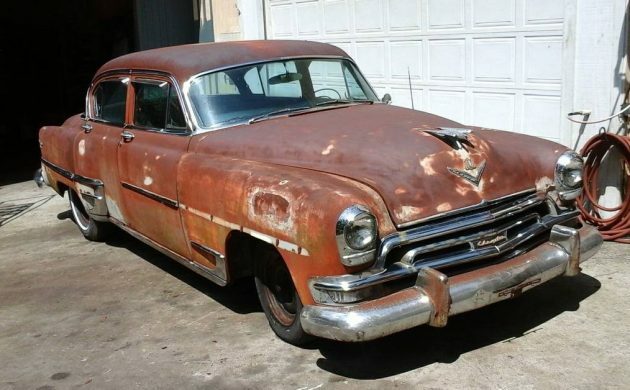 This Chrysler has definitely seen better days, but it may not be as bad as it looks. From the little paint that is left, it looks like it was white. 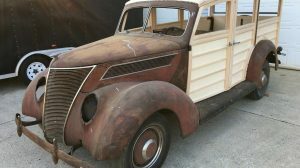 Lets hope there are no major areas that are rusted through and that it’s structurally sound, this would be a good project to make safe to drive, preserve and enjoy. According to the ad, the car is complete, runs great and has 81,000 miles. The owner is letting the car go due to health reasons, that is about all we know from the ad. 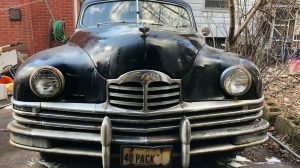 This is a deluxe model, I think this grill is specific to a deluxe with the center bar over the Chrysler emblem. Most of the trim seems to be on the car or in the trunk with the wheel covers. It’s got a Hemi! 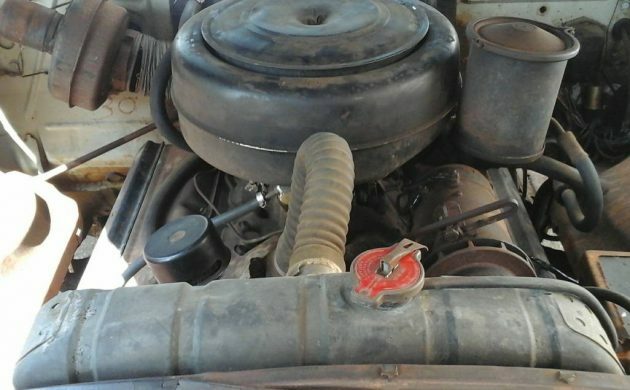 The engine looks complete and original except for the flexible radiator hose that seems to come standard with a classic car. The engine is a 331 CI FirePower Hemi that runs great. The 331 was the first generation of the famous Chrysler Hemi family of engines, it produced somewhere between 180 to 235 HP. The interior needs work but is complete. From what is shown the dash looks good with the gauges and knobs being intact. The steering wheel is deteriorated and will need some attention before driving. If this were my car I would leave the exterior alone. 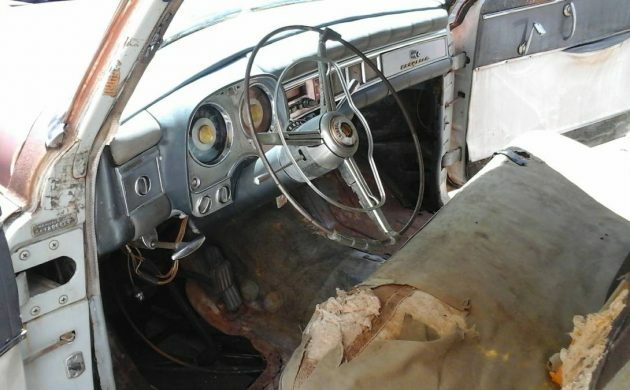 On the inside I would restore the door panels and steering wheel, recover the seat and maybe some carpet; that would give you a fun driver that would be a hit at the car show. 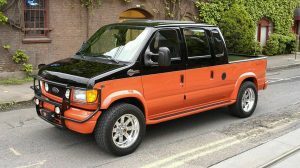 The other option would be to make it a parts car, but lets hope that doesn’t happen. I don’t think it would be a good investment to restore this one. What are you ideas? Would you save it? How does a car get so rusty on the outside of the body? It looks very uniform so I think it must have been in a field or desert. Looks to be a good deal. Great opportunity to own a hemi for reasonable price. Wish it was closer to me. I think I’d jump on it! Pull the hemi, drop a Perkins diesel in, and Voila! Cuban taxi. Me personally, I would restore it. You don’t see too many of these around and that looks to be in good shape. I like the idea of fixing the interior and driving as is. Wilmington,NC is a coastal town, so that probably explains the uniform distribution of surface rust. @Ikey Heyman. I lived on the Indian Ocean coastal city of Durban, South Africa, for 50 years where sometimes we had temperatures of 38 deg. C and 107% humidity but never ever saw a car with surface rust such as this one has. Underneath and inside the doors and fenders, yes, but topside, never. Try living in Arizona or any desert town. 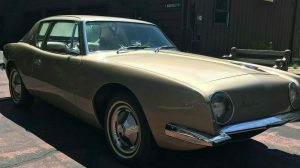 Remember this car is 65 years old. Pull the hemi and keep \ sell it for a better project. Put in a common 318 if you want to have an easy to live with classic driver. Reminds me of an oversized Plymouth Cranbrook of that era. I bought my 1954 New Yorker for $400.00 and it was in much better shape, in fact only took a change of fluids to get running and drivable. Admittedly, this was 15 years ago and even then it was a great deal, but have they increased in value that much? Maybe if it were a convertible or even a 2 door hardtop. I would be curious to see what it sells for. same Cuban car videos I did on YouTube. night while ordering some take out. roof. And yes, it had wire wheels too. I have a friend that visits Cuba ( now that he can) and sent back a bunch of pictures of Cuban taxi cabs. For some reason, these Chryslers and DeSotos with Perkins diesels were the car of choice. I always wondered how so many got there in the 1st place. When I was a teenager a long long time ago there was a one man garage a few miles back toward town. The owner brush painted our farm trucks and sometimes even cars as needed for a pittance. He actually did a creditable job of it. So with this one, I could see laying in a gallon of rustoleum rusty metal primer followed by a gallon of implement enamel, say John deer green or ford blue or for more pizzaz, IH red or Case yellow. Fix the brakes etc as needed and drive it. At cars shows I’d be saying “yep it has a Hemi” for hours. Bill Parker. I LIKE your style! I like it, and it deserves a complete makeover! I can visualize what it would look like redone! It would look nice! “Steering wheel needs some attention”. Really I hadn’t noticed. Lol.